Rio de Janeiro is the second most populous municipality in Brazil, a metropolitan area and home to over 6 million inhabitants. The metropolis is divided in four major zones that are further divided in districts. The Central Zone is a historic but also financial core of the city, while the district that lends the name to the most popular beach in the world – Copacabana – is located in The Southern Zone. Southern parts of Rio de Janeiro also feature districts like Ipanema and Botafogo bay, which offer stunning viewpoint of the Sugarloaf Mountain. Airport is in the Northern Zone of the city as well as the Maracana football stadium, and the Western Zone makes up for around the half of the Rio de Janeiro area. Rio de Janeiro with each of its zones provides various shopping opportunities and for each and every type of shopping, may it be high end fashion brands, festival costumes, pieces of art or simple handmade gifts or presents you would want to bring home to your beloved ones. 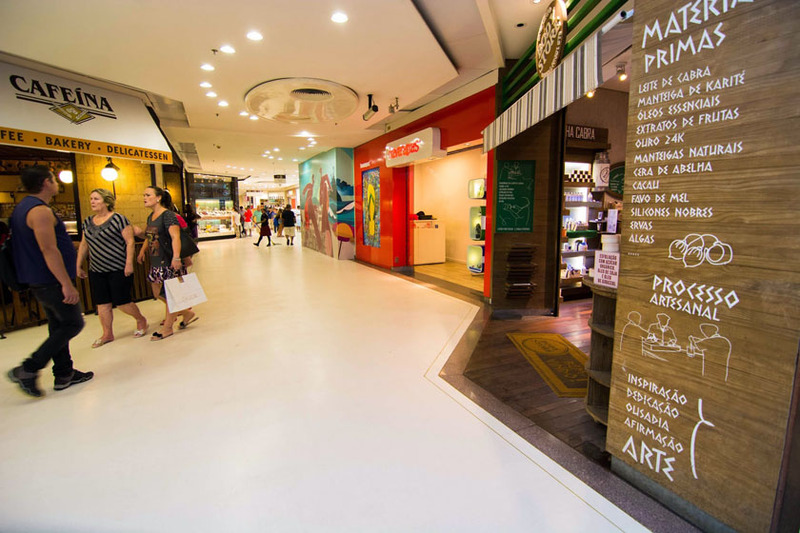 If you happen to be in Botafogo district during your visit, a good way to start would be visiting Botafogo Praia Shopping – a shopping mall featuring over 140 retail stores. It has both Brazilian and international designed clothes, making sure the offer meets every personal style. For top designer brands you should go to the third floor, while at the top floor there are several high-end restaurants which provide stunning panoramic view of the surrounding landscapes. 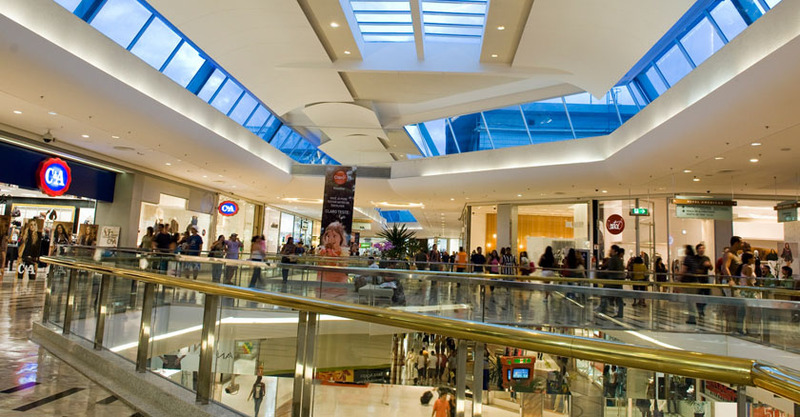 If you are looking for strictly high-end products, brands like Gucci and Louis Vuitton for example, you should probably check out Shopping Village Mall in Barra da Tijuca neighborhood in the western part of Rio de Janeiro. The name is somewhat misleading, since here you can find mostly luxury brands, including Forever 21, and each of them has a huge retail store. So, you can find pretty much any high class clothing in here, but the fact is that Brazil pays high taxes for imported products, therefore the merchandise here can be as twice as expensive as it would be in some other countries. There is still a little bit for everyone at Village Mall, since here you can find a beautifully designed Saraiva bookshop, but the offer of wine, gourmet chocolate and restaurants is abundant too. 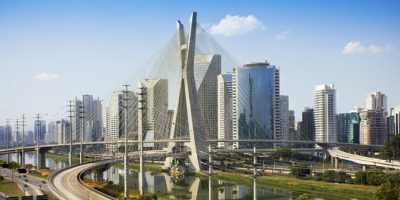 If you, however, didn’t find what you were looking for here, lucky you, because in the same Bara da Tijuca neighborhood there is the biggest shopping mall in Brazil and the whole of Latin America – Barra Shopping. It is highly unlikely that you won’t find anything suitable here since almost all of the clothing labels covered, but also various Brazilian brands that you probably aren’t familiar with. Game center is also very interesting place in the mall and it features arcade games, bumper cars and a children’ roller coaster too! If you are in Rio for a limited time and can’t afford to spend too much in shopping, Barra Shopping is probably the best place to visit. At the Copacabana beach you will find plenty of local salesmen offering interesting souvenirs you can take home, but another area that you ought to visit while in Rio is definitely the Rio Antiques Fair, located in the city’s Cental Zone. This is a market that specializes in artwork sales, offering many products like vintage furniture, records, paintings and various handcrafts. Live music performances dominate the area, along with capoeira performances, which makes this fair a must visit in order to feel the unique Carioca vibe. Antique furniture still remains the highlight of Rio Antiques Fair, and while some markets in Europe have advantage volume-wise, in here you can find plenty of unique furniture pieces to choose from. There is also a supply of vintage clothes that will take you back in the fifties or sixties. If you happen to be in Rio at the time of carnival and want to dress up and join the party, you should definitely go to the SAARA Shopping District, also located in the Central Zone. In SAARA market you can find anything from electronics to carnival costumes and beachwear, and it is known for its affordable prices. In here you can have a real hectic market experience since people, who are usually kind of lazy walking in the sun, seem to pick up pace here looking to hit the best bargain.